Unlike peers TBZ or Joyalukkas, Tara Jewels Ltd which is expected to hit the market soon with a Rs. 200 crore IPO, is basically a jewellery exporter with almost 98% of FY’10 income coming from its worldwide exports business. 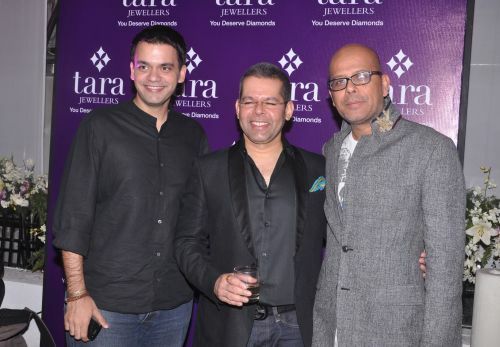 However, over the last three years, Tara Jewels has been creating and expanding a smaller retail business, and the current issue proceeds is expected to contribute also to their plans to open 20 new showrooms by this fiscal and early next fiscal. This trend by jewellery exporters to diversify into domestic retail operations has been gaining strength over the last couple of years, due to the increasing competition, lower growth rates, and lower margins in the exports business. Despite their domestic retail plans, due to the overwhelming presence of the exports business in their balance sheet, Tara Jewels will be considered as only an exporter by potential investors. In FY’10, on a total consolidated revenue of Rs. 816 crore, Tara Jewels delivered an EBITDA of Rs. 68.6 crore, on an EBITDA margin of around 8.5%, which is not extraordinary, but only in line with the export industry standards. The net profit was around Rs. 24 crore, on an NPM of just under 3% which is not very impressive. 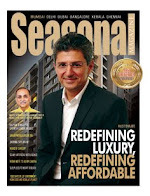 A question sent by Seasonal Magazine to ascertain whether Tara Jewels is expecting a better net profit margin in the coming quarters, and what all are being done towards that, remained unanswered at the time of publishing. Though Tara’s export revenue grew during the last three years at a CAGR of 12%, which is sort of okay in its industry, the going forward should be expected as tougher as the worldwide jewellery export growth is set to shrink to only 4.6% CAGR from 2010 to 2015. Tara’s return on equity is also not exceptional at just 13.45%, and will fall short of many institutional investors minimum RoE requirement of 15%. The problem with companies like Tara is that they were delivering better growth and RoEs a few years back, but it is now that they are tapping the capital markets. For example, Tara’s RoE was an impressive 25-37% in FY’06, 07, & 08. A query sent to Tara Jewels on whether the company is expecting to deliver a better RoE in the coming fiscals remained unanswered. Coming to valuations, if Tara is valued at the jewellery export industry average of 14 P/E, the Issue price would come to around Rs. 190, as Tara’s FY’10 EPS is around Rs. 13.60. At this price, the Issue can be attractive, as the share has a pre-issue book-value of Rs. 151.30, and it will translate only to a P/BV of 1.25 times which should come across as reasonable. But one problem is the valuations of comparable players. Gitanjali Gems Limited (BSE: 532715, NSE: GITANJALI) is available below its book-value, while another noted player, Renaissance Jewellery Limited (BSE: 532923, NSE: RJL) is available at just 0.60 times its book. Tara Jewels is also comparing itself with Titan Industries Ltd (BSE: 500114, NSE: TITAN), but it remains to be seen how far investors will take that logic. To its credit, Tara Jewels will be the 8th largest listed player by revenue and the 5th largest by profits after the IPO. But creating headache for Tara Jewels is the quite unimpressive price-performance of the sector within the last three months with 26 out of 30 listed jewellers - dominated by exporters - losing money for investors. In summary, Tara Jewels needs to price its issue very attractively - somewhere around its book-value - for this to be a competitive offering.